The automated sorting systems needs land area of L120*W60*H12m, it is recommended to cover the whole line under roof. Waste dumpling area should be near of the line or directly dump the waste in the Embedded type storage pit. Using the loader to load the MSW in the receiving hopper, (grab-crane loading and storage pit loading method are also available). The municipal solid waste will be sent to the uniform distributing machine by plate feeder. The uniform distributing machine can spread the adhesive MSW evenly on the belt conveyor for subsequent operation. 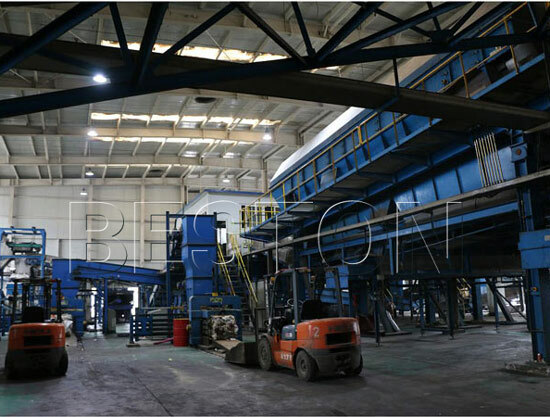 The bulk waste is picked up manually in the first manual sorting platform, such as quilt, wine bottle, cotton clothes, big wood branch, etc. In the first manual sorting platform. Bag breaker can break open the refuse bag for subsequent operation. The broken bag waste is fed into the rotate screen by belt conveyor. The rotate screen was designed in 50*50mm hole, which can separate the waste into different size, the oversize material >50mm(mostly are plastic, stone, textile, rubber boot, etc.) and undersize material <50mm(mostly are organic). 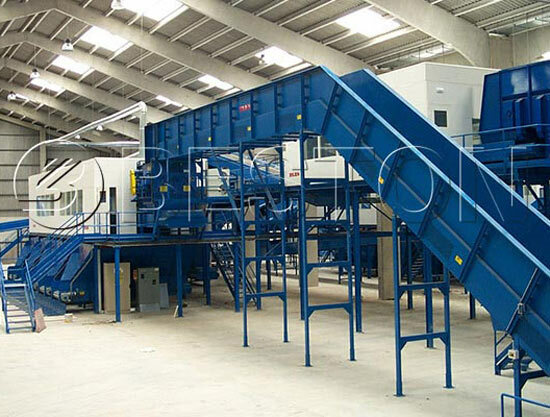 Undersize material is collected by the undersize collecting belt conveyor and transferred by the undersize transfer belt conveyor to the truck for further processing or landfill. Meanwhile, the magnetic separator can separate the iron matter in the undersize material. 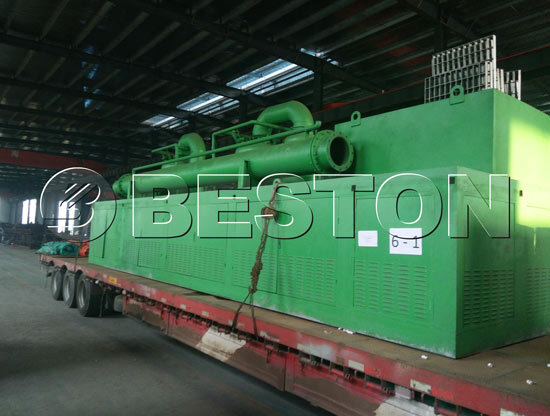 After separating the iron by the magnetic separator, the oversize matters bigger than 50mm is sent to the eddy separator to pick out the non ferrous matters. After the metal matters is sorted out, the remaining waste will be transferred into the air separator by the belt conveyor. The wind separator was designed by combined of positive & negative pressure, which can efficiently separate the waste into three matters, the light matters(plastic), heavy matters(Brick stone, ceramic chip, glass, etc.) and combustible matters(hard plastic, textile, rubber matters, wet paper matters, etc.). The heavy matters and combustible matters are transferred by belt conveyor, and then the useful things will be picked up manually in the manual sorting platform, then loading to ship out. Afer the useful things was separated, the light matters will be transferred to the baler. The baler can pack the light plastic matters to mass, which is easy for storage and transportation. 1.All the processing procedure are under monitoring, ensure the producing going smoothly. 2.Sealed producing process, reduce the pollution of the waste. 3.Special odor control system, ensure the workshop has a good environment and protect the workers’ health. 4.Fully automatic operation, to avoid manual operate mistake. Beston automatic sorting systems have certified by CE, ISO, etc, and they also have been successfully exported to Uzbekistan and other countries. Welcome to visit our factory!